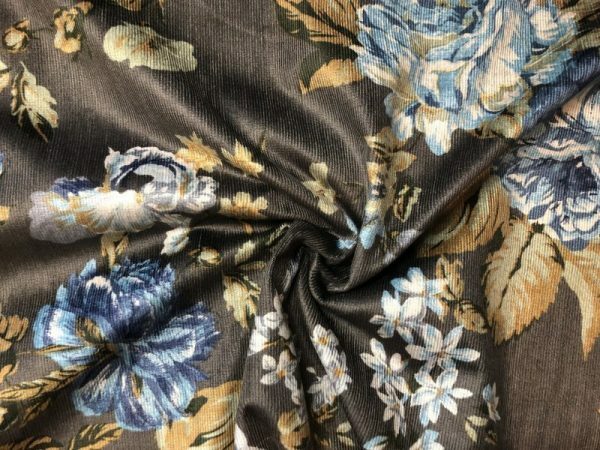 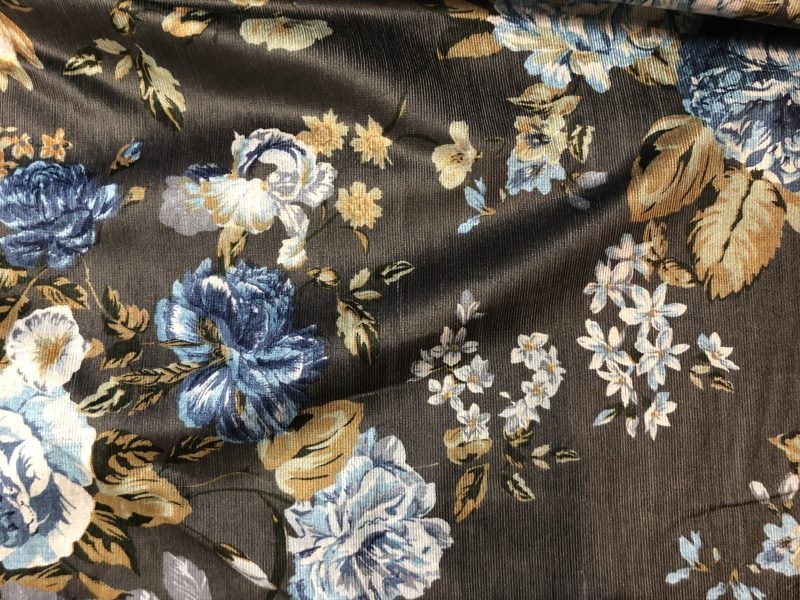 Stunning stretch needlecord with a grey base and bold blue, old gold and white vintage floral print. 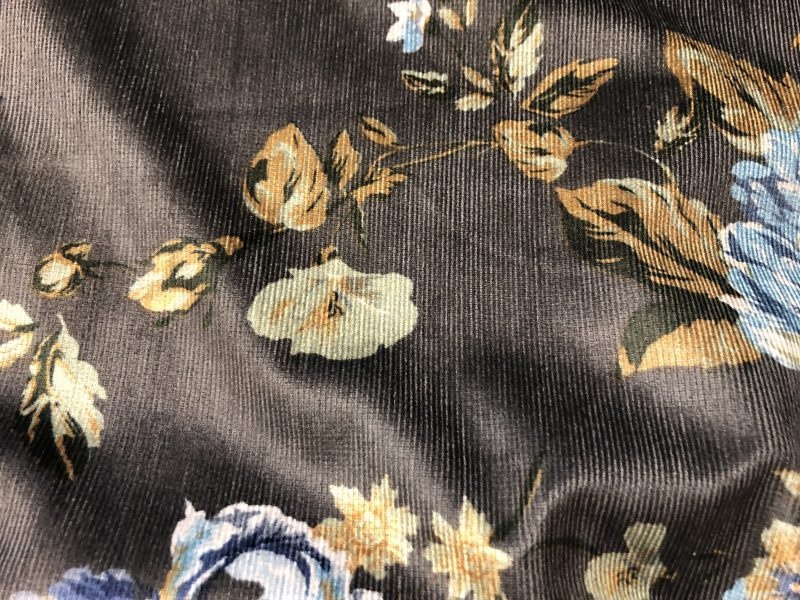 It feel super soft and silky to the touch and has a good amount of stretch. Medium weight and perfect for dresses, skirts, pinafores and trousers.